Underground Mining Wouldn’t be Possible without Appropriate Ventilation - Meteor Foundry Co. The process of putting people to work underground in mines is treacherous. At every step of the process, from digging the mines to extracting the ore, there are risks, hazards, and dangers. In spite of this, it is still a much needed industry and one that takes every precaution to protect workers from the inherent threats. Once mines are running, one of the main safety concerns is ventilation. The mining equipment, and possibly the ore itself, produces noxious gases such as methane, carbon dioxide, and carbon monoxide. These deadly gases must be efficiently removed and replaced with breathable, clean air. 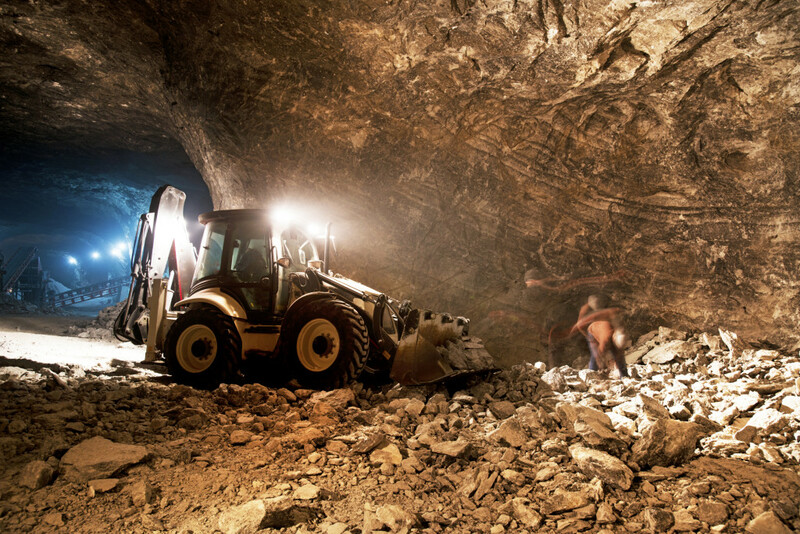 Additionally, dust is also an issue within a mining operation. Dust is dangerous when inhaled and an excess or buildup is a potential fire and explosion risk. Ventilation systems remove fine particles and also maintain appropriate working temperatures. Introducing cool or warm air into the mine keeps machinery and people operating efficiently. How is a ventilation system designed? As each mine is different each system will be different but the general idea is the same. To effectively move air through the mine, there must be at least two connections between the mine tunnels and the surface. Exhaust fans at one of these openings pull air out while clean air comes in the other. This is a truly simplified version, as complex mines require regulators, doors, stoppings, and other ventilation control devices that work in unison with fans and equipment to maintain good air circulation. The fans are an integral part of the ventilation system and must be built to withstand continuous operation. We have worked closely with the global mining industry to develop and produce sand casted aluminum fan blades and components. These products can handle the extremes in mining operations to make the confined conditions safe from deadly gases, dust, and temperatures. In all mining operations safety is the most important consideration. Appropriate ventilation requires attention to detail in both the design and in the equipment used. Sizing a system correctly makes sure that the amount of new air will meet requirements and keep people and the operation safe. This entry was posted in Mining and Castings and tagged Dust is dangerous when inhaled, fans are an integral part of the ventilation system, How is a ventilation system designed, putting people to work underground in mines, Underground Mining. Bookmark the permalink.